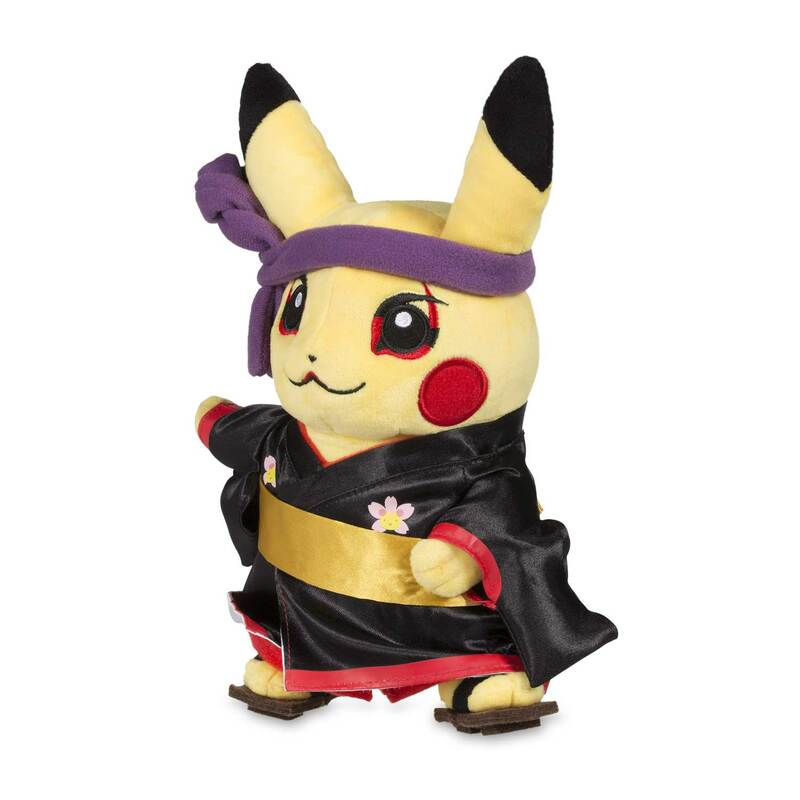 Around the World Kabuki Pikachu Poké Plush (Standard) - 9 In. 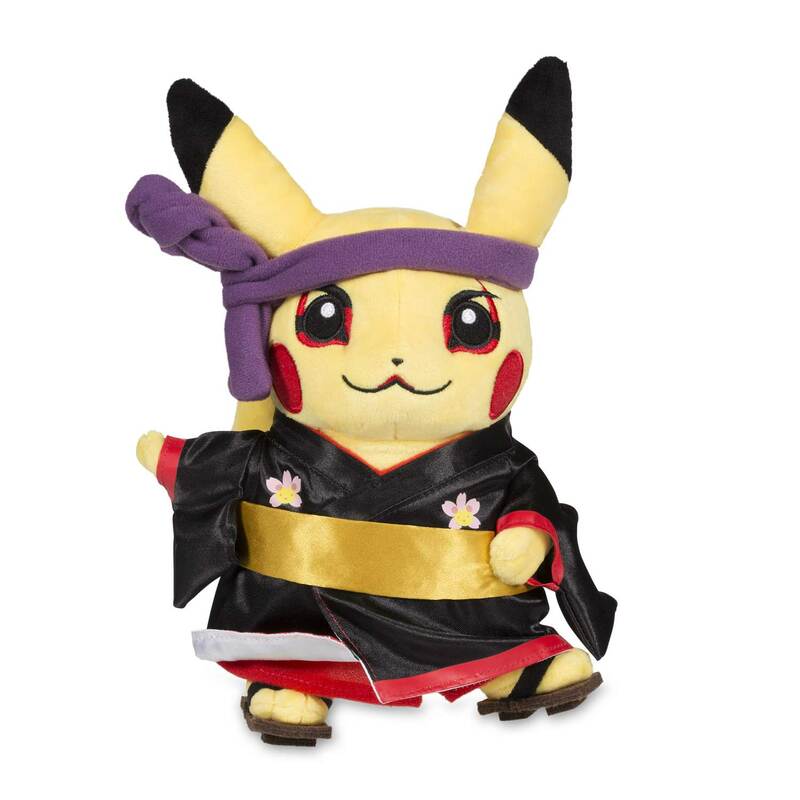 This amazing Kabuki Pikachu Poké Plush has embroidered eyes reflecting the theatrical makeup of this art form, plus silky flowered clothes with a golden sash and white lining, plus felt sandals and a purple twisted headband. 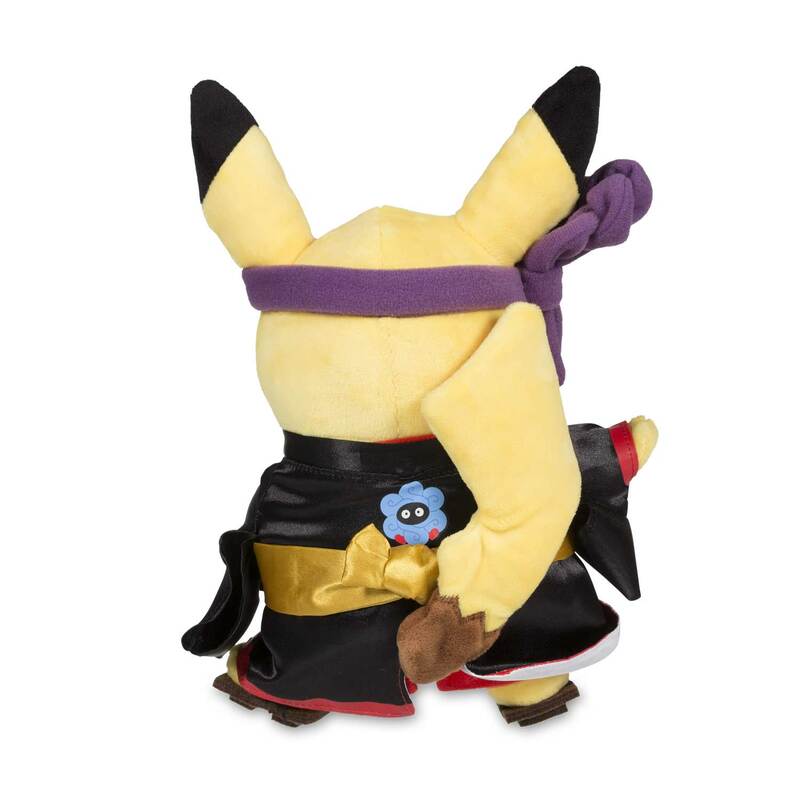 It's quite a layered costume-Kabuki Pikachu is ready to get on stage! 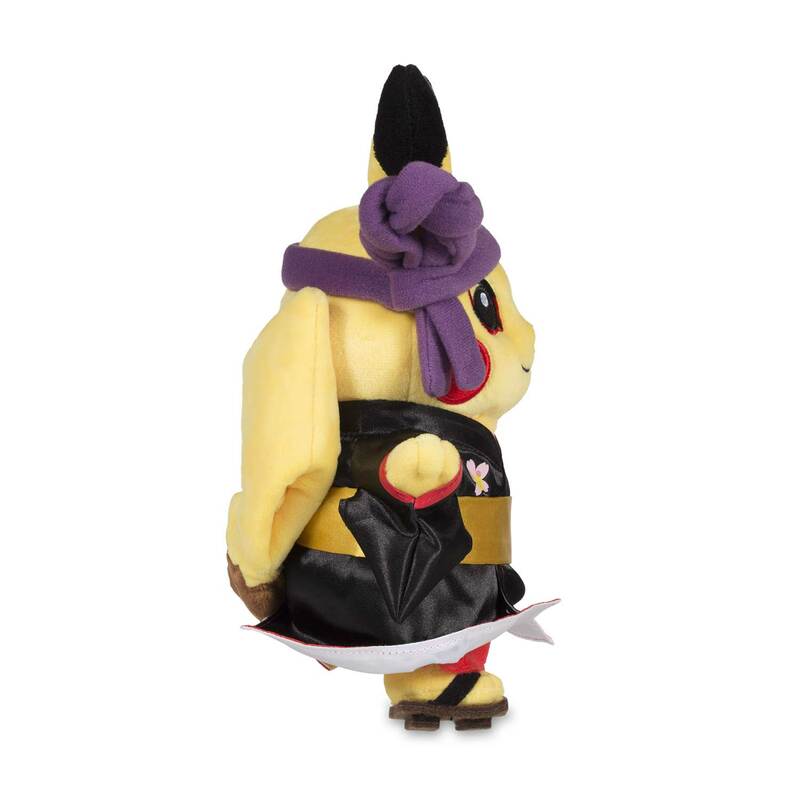 Silky golden sash and fancy costume!